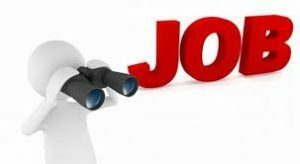 SEEPZ Recruitment 2018: Applications are invited for filling up the positions in the SEEPZ Special Economic Zone. Individuals who are interested in applying for the Assistant Development Commissioner, Section Officer (Account) and Stenographer Gr. III on deputation basis can check this post. The officials of the SEEPZ have released the notification for all the vacancies. Contenders need to complete the SEEPZ Application From 2018 on or before 31st October 2018. We have provided the SEEPZ Educational Qualification, Pay Scale, Post-Wise Vacancies in the below portions of this article. So, the candidates can review all the details and apply for the notification before the closing date. We have also provided the Steps to apply for the SEEPZ Recruitment 2018 Notification on the last portion of this page. Possessing three years experience of Cash, Accounts and Budget work. The details and the documents required for the Assistant Development Commissioner, Section Officer (Account) and Stenographer Gr. III posts and the details of the place of positions proposed to be filled up in respect of SEEPZ are hosted in the web portal of www.seeps.gov.in. The Application forms received after the due date or without the confidential reports and the other relevant documents or otherwise found incomplete will not be considered. The application of eligible and willing officers who could be relieved the event of selection along with the required documents may be forwarded to the given address within 60 days from the date of issue. Therefore, the individuals need to check all the details carefully and apply for the SEEPZ Recruitment 2018. The officials of the SEEPZ Special Economic Zone will conduct the interview for the applied aspirants. So, the contenders need to wait for few more days to check the date of the interview. Candidates who will send the application form before the last date are only allowed to take part in the interview. Hence, the interested aspirants and the contenders who are looking for the jobs in SEEPZ can now apply for the recruitment. All the individuals can use this opportunity and fill the application form with the accurate details. In addition to this, the aspirants can check Sarkari Naukri to know the trending issues and more info about the government jobs. With the help of a given link, the candidates can download the SEEPZ Recruitment 2018 Notification.